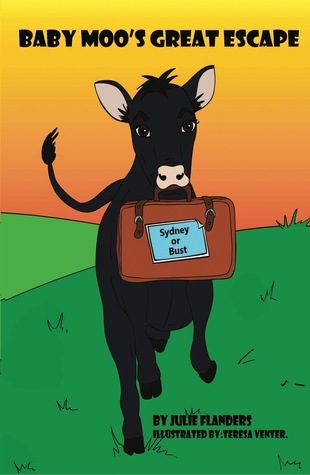 I'm giving away three signed copies of Baby Moo's Great Escape at Goodreads. Click below to enter to win! The Turnagain Arm FREE on Kindle for #Halloween! The Turnagain Arm is FREE on Kindle today (10/30) and tomorrow (10/31). Give yourself a Halloween treat and pick up your free copy here! Win a Kindle and other prizes from Untethered Realms! My writing group Untethered Realms is excited to be giving away a Kindle or a huge ebook bundle this week as the grand prizes for our Realms Faire event. The Realms Faire is the brainchild of M. Pax and she is hosting a joust all this week with daily prizes. But there are numerous other events each day and the tagline for the festival is 9 events. 9 chances to win. Every day. Click on that tagline to see all the fun events going on this week! At the Untethered Realms blog, we are hosting Phasers, a word game based on popular sci-fi tv shows. Stop by and play for the chance to win new prizes each day this week! And don't forget to enter for a chance at our Kindle Grand Prize. You can enter via Untethered Realms here or through the Rafflecopter at the bottom of this post. Hope everyone has a fun week at the Faire! My friend Lexa Cain suggested that she and I host a blog hop together to celebrate our book releases in December. My The Ghosts of Aquinnah will be released on Thursday, 12/5 and Lexa's Soul Cutter will be released the next day on Friday, 12/6. Lexa came up with the idea and the art work and I am thrilled to hop on board and host with her. Lexa and Julie invite you to a Blog-hop and Giveaway. Beaches of Hawaii? Slopes of Vail? Cancun, Paris, or Rome? Go to Lexa and Julie’s blog to enter the Rafflecopter Giveaway and from Dec 5 - 8, use the Linky tool to visit the other bloggers to see the wonderful places they want to visit. You don't have to participate in the hop to enter the giveaway! Just visit Lexa and me on December 5 through December 8 and join in the fun. I'm really excited to share my new blurb for Polar Night! Written by the mega-talented Michael Di Gesu, the new blurb focuses more on the antagonist of the story, the monstrous Aleksei Nechayev, and the secret he is trying to keep hidden from struggling Fairbanks detective Danny Fitzpatrick. At noon the sun awakens as rural Dalton highway is painted on the arctic, Alaskan horizon. Silhouetted against the burning haze, a haunted asylum pierces the never-ending sky. The doorbell chimes. He releases his hold and caresses her cheek. “Natasha,” escapes his lips as he ascends the creaky wooden stairs. A calm hand opens the door. The glistening snow on the front porch pales against Aleksei’s skin and charming smile. The young woman cries out, but only Aleksei hears. They will never find you my dear. This beaten and hung over man does not have a clue. Hours later, the detective crosses the threshold and shudders as if encased in a block of ice. The sun drops to sleep and an eerie shadow creeps alongside him. He shakes his head. Aleksei watches from the peephole. You feel my immortal essence ... do you not? A forceful hand bolts the door. Aleksei probes his elongating eye teeth. If the blurb piques your interest, there's never been a better time to check out Polar Night! It's on sale for 10% off at Smashwords now through October 6. Find Polar Night on Smashwords here and use coupon code DK46V to get the discount. And if you'd like to enter my September Giveaway for a chance to win an Amazon or B&N gift card or Polar Night swag, use the Rafflecopter entry form below. I'm holding monthly giveaways while counting down to the publication of my second novel The Ghosts of Aquinnah. For September, I'm giving away a $20 gift card to Amazon or Barnes & Noble (winner's choice) and two sets of Polar Night swag (bookmark and magnet). There are lots of ways to enter - just check out the rafflecopter form below.